Robert Irven Weber was born in Fosston, Minnesota, and raised in Minneapolis. His father Irven Frank Weber died when Bob was 14 years old. His mother Myra Adeline was a school teacher and disciplinarian who taught Bob and his brother Jack William the core values that he would demonstrate as a leader throughout his life. Bob's record of achievements started when he won the 1939 Minnesota State Yo-Yo Championship. He was a Boy Scout and reached the rank of star scout. He was a three-sport letter winner (football, basketball, baseball) during his junior and senior years and was a starting guard on the Patrick Henry High School basketball team, winning the 1945 Minnesota State Championship. His first place finish on the West Point entrance exam earned him an appointment from Senator Shipstead. Approximately half of Bob's Air Force career was spent in his beloved fighter organizations. Upon graduation from West Point, Bob was commissioned in the Air Force and assigned to basic pilot training at Randolph AFB. He took his advanced pilot training at Williams AFB and fighter crew training at Nellis AFB. His first operational unit was the 80th Bomb Squadron in the 8th Fighter Bomb Wing (F-80s) in Korea. While with the 80th in combat, he was awarded the Distinguished Flying Cross and three Air Medals (1951-52). After Korea, he was assigned duty as a line pilot with Air Defense Command, O'Hare Field. He had a tour of duty at ADC Headquarters, Ent AFB, before he was assigned as the U.S. representative on the Four Powers Coordination Board in the Berlin Air Safety Center. He served in this crucial position during the crisis created by the construction of the wall separating East and West Berlin. He also served as a staff officer in Weisbaden. After Germany, he attended the Air Command and Staff College (ACSC) at Maxwell AFB. Upon graduation, he was assigned as operations staff officer, J-3, Headquarters Strike Command, MacDill AFB. During his fighter days, he flew in the F-80, F-86, and F­104. His assignment as the commander of theT-39 "Scatbacks” Squadron in Saigon, Viet Nam, broke the fighter organization chain of assignments. During this tour he earned the Bronze Star, the Republic of Viet Nam Gallantry Cross and the Republic of Viet Nam Campaign Medal (1967-68). Upon his return to the States, he served as a command pilot at Norton AFB. He moved to Headquarters Military Airlift Command (MAC), Scott AFB, as chief of the programming division and was selected two years later to be the base commander and deputy wing commander at McGuire AFB. He returned to HQ MAC, as director of aircrew training and resource management. His last assignment was as commander, Pacific Airlift Center, Hickam AFB. He flew T-39s and C-141s while assigned to MAC. During Christmas leave 1950, Bob married Ann Vaage, who, although not the girl next door, lived in the same block, attended the same church, and had been his high school sweetheart. Ann’s father was the minister at Victory Lutheran and performed the wedding ceremony. Ann and Bob had five children: Robert, Jr., was born at Nellis AFB; Wayne and Beth were born at O'Hare Field; William joined the family in Berlin; and Kurt completed the family in Weisbaden. Ann died in 1975. Bob carried the values that his mother and West Point had instilled in him throughout his military and civilian service. A prevailing theme of his life was his wonderful sense of humor. He managed to entertain and inspire those associated with him, even during a lengthy bout with colon cancer. He never gave up, playing a round of golf two weeks before his death. His family, extended family, and many West Point classmates and comrades said Au Revoir to Bob at his burial with full military honors at Arlington National Cemetery on 3 August 2001. After 30 years in the Air Force, including flying combat missions in two wars, Colonel Robert I. Weber found a new career in health-care philanthropy. As the first director of planned giving for Scripps Memorial Hospitals in San Diego, he helped raise more than $200 million in bequests and estate gifts for various Scripps Health entities. "In his 24 years with me at Scripps, he developed into one of the most respected planned giving officers in the United States, frequently teaching and lecturing all over," said James Bowers, who hired him in 1981. Colonel Weber died of complications from colon cancer May 24, 2001, at his home in Flagstaff, Arizona, where he had lived for four years. He was 72. Living next to the Forest Highlands Golf Course in Flagstaff, Colonel Weber enjoyed playing golf four or five times a week in retirement until about a month before his death. 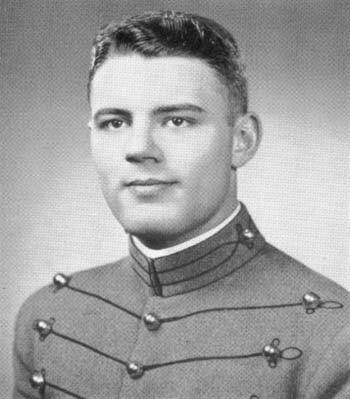 A 1950 graduate of the U.S. Military Academy, Colonel Weber was commissioned as a second lieutenant in the Air Force in 1950. He became a fighter pilot, seeing action in the Korean and Vietnam wars. Colonel Weber's last duty station, before retiring in 1980, was Hickam Air Force Base in Hawaii, where he served as director of the Pacific Airlift Center. He and his wife, Sue, whose parents were from San Diego, settled in Tierrasanta and he began his second career with Scripps. "I saw in Bob the potential for a high quality fund-raiser," said Bowers, who retired in 1993 as president of the Scripps Foundation for Medicine and Science. "So I asked my friend Bill Dunseth, then vice president for development at Pomona College, to help train Bob as a planned giving officer." In 1988, Colonel Weber received a first-place award for excellence in planned giving from the National Association of Hospital Development. He was active in the Planned Giving Roundtable of San Diego County and the National Association for Hospital Development, today known as the Association for Healthcare Philanthropy. During retirement, he served as a planned giving consultant for Northern Arizona University. Colonel Weber was born in Fosston, Minnesota, and raised in Minneapolis, where he graduated from high school in 1946. While living in San Diego, he had been active in the Tierrasanta Lutheran Church and the San Diego branch of the West Point Society. Survivors include his wife, Sue; a daughter, Beth Lesko of Waynesboro, Pa.; sons, Robert Jr., an Air Force colonel stationed at Hurlbert Air Force Base in Fort Walton Beach, Fla., Wayne of Evansville, Ind., and William and Kurt of Waynesboro; stepdaughters, Randi Schuyler of Bellingham, Wash., and Terri Schuyler of Flagstaff; a stepson, Mark Schuyler of O'Fallon, Ill.; and 21 grandchildren. A memorial service was held Sunday at Shepherd of the Hills Lutheran Church, Flagstaff. Burial is pending at Arlington National Cemetery. Donations were suggested to Northland Hospice or Shepherd of the Hills Lutheran Church, Flagstaff.